Orbea is a Spanish bike manufacturer based in Basque country. 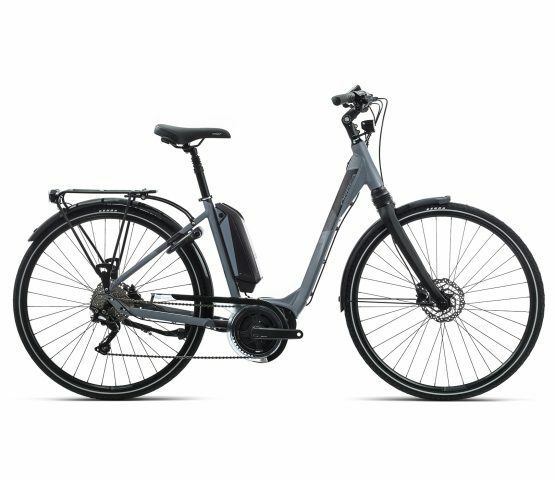 Being a cooperative owned by their employees, Orbea has demonstrated time and time again a unique commitment to high-quality products. Orbea e-bikes all feature the Bosch or Shimano STEPS drive train systems for great comfort, power and reliability. The Optima Comfort is a fully-equipped stepthrough with mudguards, rack and lights all included, ready to go for your daily commute. The front suspension makes your ride even more comfortable.